VANCOUVER, BC--(Marketwired - March 14, 2016) - It was the year of Batman, The Beatles and The Beach Boys. It was the Swinging Sixties. More importantly, 1966 was the birth year of the Slurpee. Fifty years on, 7-Eleven is celebrating 50 summers of Slurpee in what has become a global icon. To kick-off the 50th celebrations and also the official start of Slurpee Season, 7-Eleven is hosting its third Bring Your Own Cup Day (BYOC) on Friday, March 18. Already a firm Slurpee fan favourite, customers are asked to bring in their own weird and wonderful cups and fill them up with Slurpee for just $1.49. The popular promotion will take place between 11:00am and 7:00pm on Friday, March 18, at all 7-Eleven stores from B.C. to Ontario, while Slurpee lasts. 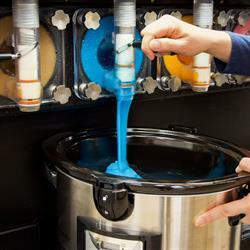 In what is becoming a much talked about tradition, the past two years have seen Slurpee fans race to their local stores and slurp from teapots, buckets, trophies, and fish bowls -- even slow cookers and an IV drip! Containers have to be no more than 26cm in diameter, water tight, clean and hygienic, and it's one per person. 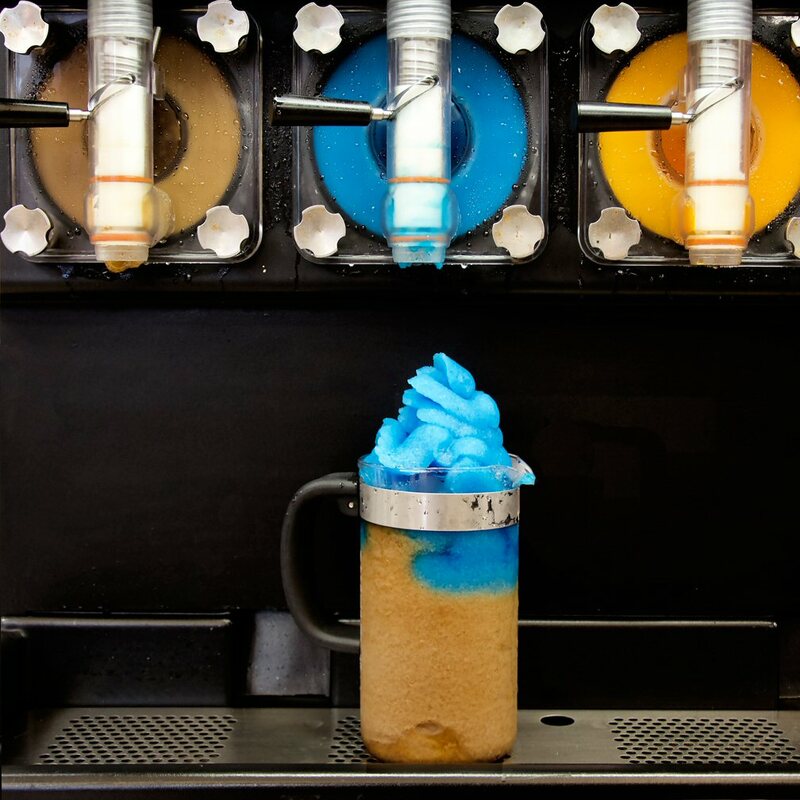 "As Slurpee fans prepare for an iconic Slurpee Summer, we know they will pull out all the stops for this year's BYOC day," says Raj Kapoor, Vice President and General Manager, 7-Eleven Canada. "We are confident that this year's BYOC day will be the most innovative and outrageous to date. It is a truly special experience seeing the passion and creativity Slurpee fans bring to BYOC day." Customers will be able to fill-up their own choice of container with a wide range of Slurpee flavours, including a limited-time-only flavour, Crush Gummy Bear - only available at 7-Eleven. Committed to innovation, 7-Eleven will be launching six exclusive new Slurpee flavours throughout the year that will be sure to excite Slurpee fans. To join in and follow the fun, use the hashtag #BYOC. Building on the legacy of past BYOC events, Slurpee fans are encouraged to check out Slurpee.ca to seek creative inspiration from previous years. 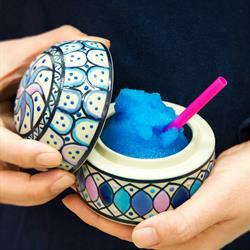 A few lucky Slurpee fans will be rewarded for using the most creative cup on March 18th. Heard about the new 7Rewards loyalty program? BYOC Day counts! All BYOC cups purchased on March 18th will earn a star towards their 7th Slurpee free using the 7-Eleven mobile app. For more information, visit: www.7Rewards.ca. Slurpee is a global icon that's available only at 7-Eleven stores. More information on Slurpee in Canada is available for Canadian customers at www.slurpee.ca or www.facebook.com/slurpeecanada. 7-Eleven, Inc. is the premier name and largest chain in the convenience retailing industry. Based in Dallas, Texas, 7-Eleven operates, franchises or licenses nearly 10,500 7-Eleven® stores in North America. Globally, there are more than 56,200 7-Eleven stores in 16 countries. Find out more about 7-Eleven Canada at www.7elevenstores.ca. 7-Eleven is hosting its third Bring Your Own Cup Day on Friday, March 18. Customers bring in their own weird and wonderful cups on 7-Eleven's Bring Your Own Cup Day to fill up with Slurpee for just $1.49.